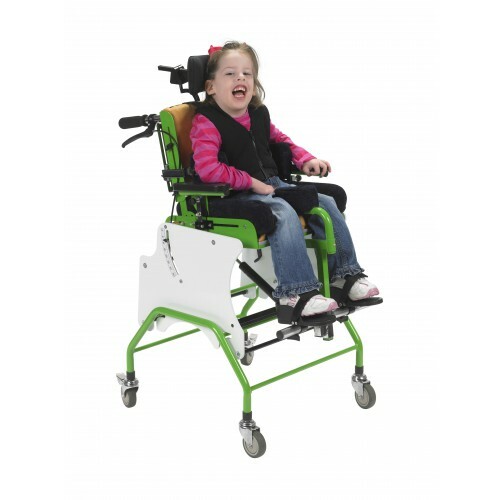 The Hi Base for MSS Tilt and Recline, by Drive Medical, is an excellent accessory that allows the MSS Tilt and Recline to be placed on an upright base that will also allow the seat to be rolled across a level floor. The Hi Base is made from tubular metal as a foundation base for the reclining seat. The base is wide and stable to prevent tipping. The height allows the parent or caregiver to be within better reach of the child, say, for instance, feeding the child during meals. 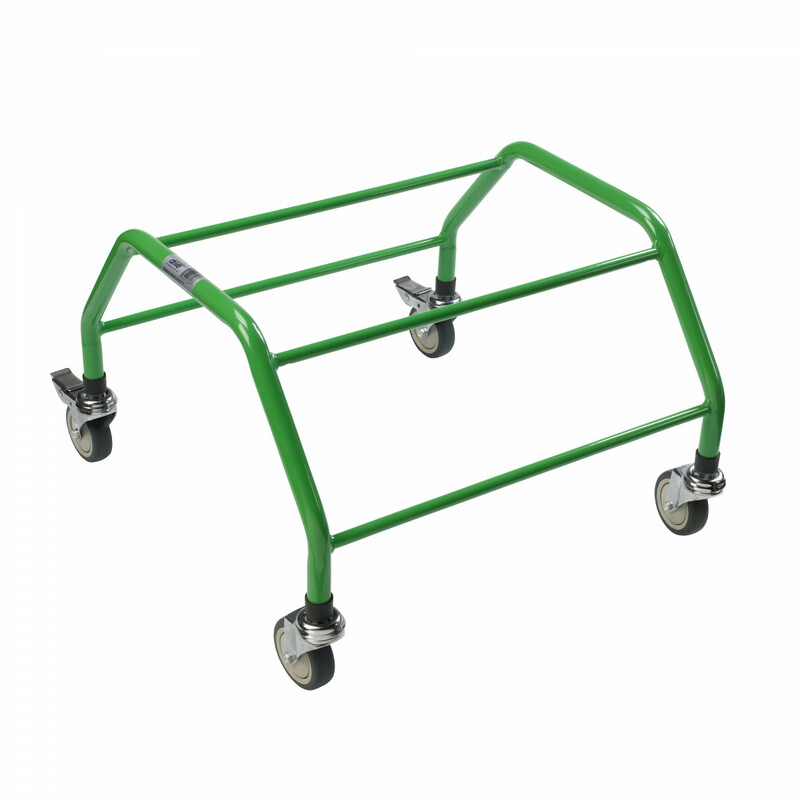 The castor wheels allows this seating system to be repositioned anywhere in the room -- simply roll to position and lock the two castors to stay in place. The base comes in a exciting lime green color to match the MSS Tilt and Recline chair's trim. The base is wide for better stability. The device has four castors for easier mobility. The seating device has two locking castors to keep the chair in place if needed. The Hi Base will boost the seat to be in better reach of a parent or caregiver.